The falling leaves in City Park surround me, as autumn in its fullness announces a new era. The change of seasons always brings with it a release of the old and a step into the unfamiliar. This year I’m letting go of the “red” that has been my hair color of choice for 22 years. I’ve been surprised by the ease with which this transition has evolved. The weekly transformation has provided self entertainment and the sensation of wonder. I’ve felt welcoming of the emergence of silver and the honoring of aging that it represents to me. Sometimes I see a stranger in the mirror, but I greet her with humor, a nod of recognition and the occasional sense of loss which comes with transition. The silver hair had been lying in wait for the time when I was ready to accept what had been changing for years, but hidden from view. Perhaps there will be a liberation of more than my hair color in this process. What more has been hidden and longing for exposure? There is always a veil of sadness which travels with the change of seasons, the entering of a new life stage, the memories which accompany my walk amidst the falling leaves in the park which has been my haven for 38 years. I welcome the feelings, whatever they may be, as they move through me in their full expression. I release the last remnants of red, just as the trees shed the remaining leaves of summer, as I inhale the new life unfolding in shades of red, gold and green. Vintage black felt hat with floral felt black/green headband, vintage earrings and pendant, vintage green leather gloves – estate sales; black jacket – Aakasha Etsy Shop HERE; black maxi skirt and patent leather belt – gh2 consignment shop HERE, Minneapolis; black leather Fluevog boots – retail. 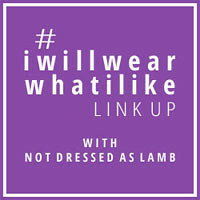 Linking up with Patti’s Visible Monday HERE and Catherine’s #iwillwearwhatilike HERE. You look so beautiful, Judith. And your words are full of grace and wisdom – one day I shall transition to grey but not yet. Never mind, you are my role model for when I am ready – thank you. So gorgeous…you predominately and the leaves!! I already forgot how you looked with red hair. White hair suits you wonderfully. Dear Lady, you have got STYLE!!! Beautiful Outfit, Beautiful Thoughts, Beautiful You. Thank You for being such an Inspiration to me…. I have been wondering how you are coping with the change and you write about the transition so eloquently. There is a softness and serenity to your new look and it is quite lovely. That first photograph is stunning. You write so beautifully about transitions of the seasons of nature and of life. thanks! Beautiful Judith! I love how you are eagerly embracing this change and growing with it. You are inspiring!!! Your hair looks fabulous and you always look so elegant and quirky. I think your hair looks platinum blonde or white to me! Maybe its my laptop? Anyway, welcome to world of grey or silver. I stopped colouring mine in December and it is a silvery grey now but darker grey at the back. No regrets at all – I love my silver hair and can’t wait for the transition to white. My hairdresser reckons it takes about 10 years! I recently posted about going grey on vronni60s.blogspot.com if you would like to take a look. This comes at a most interesting moment for I also am contemplating letting my hair go to it’s natural “silver” or what ever it may be. Your comforting words have helped me in this decision. Unlike the yearly seasons, I have long hair and my hairdresser and I believe it make take several years, but I now know it is time. I enjoyed your red but love your natural. You wear it with grace, style and power. Thank you again dear Judith! Your fashion sense is absolutely glorious; the styling, the setting, the appropriateness of the garments to your body type and apparent lifestyle is so exactly right The entire presentation is way out of the “ordinary” without being at all eccentric. You are a great role model. You look stunning, and I think the silver hair will suit you and your dramatic style. I enjoy reading your reflections about the change of seasons and the emotional component. Fall has finally arrived in Southern California, and I’m still in that giddy phase. I enjoyed the way you described growing your hair out. It was quite poetic. Your natural hair colour is beautiful, and that gorgeous headpiece suits the emerging silver so well. The whole ensemble is beautifully Edwardian, and you look amazing! You look just wonderful – astonishing; so different from the norm without looking eccentric. I’ve always wanted to ask you: How do you keep so slim? (I’m really struggling in this decade after a life of balanced eating). This has been SO fun for us readers to follow your progression.It feels like it took NO TIME at ALL!How long has it been?Your outfit here is a SMASH………..HAPPY FALL and we have RAIN in CALIFORNIA today that is SO desperately needed!!! Hair looks great and just perfect for that amazing outfit! Wonderful! You look beautiful and your words are inspiring. I’ve been watching my own grey emerge over the last few months as I cut my hair short and let the colour grow out. My stylist added highlights the other day, and I’m regretting that decision a bit as it’s distracting from and obscuring the grey. I’ve been fascinated by the change, and now am a bit impatient for the grey to take over again. I may yet go back to colouring, but meanwhile, I’m so curious, watching the process, seeing what’s been hidden under there for so long. . . Your beautiful in anything you wear or any hair color or do you have. This is so beautiful Judith <3 I can feel your spirit shining through the transition- you captured it in words and emotion. The images and styling are the toppings on the cake!! Just stunning! I love that you have embraced this. I have refused to color my hair any more and am tired of the notion that “Oh, you’d look a lot younger if you colored your hair.” Well, I’m not a lot younger, and I’m happy enough with the age I am. I feel that much of my creative self that I’ve been to busy to encourage is beginning to bloom again, and as I continue to care for myself I find the energy, both physical and mental, to begin exploring who I am becoming as I age. We are not finished, there is still a lot of life to live! Another beautifully written and reflective post. The white hair is lovely on you, especially as it contrasts with that wonderfully unique hat band. It’s been interesting to read how your transition from red to your natural hair colour has been so inspiring for many women. As I commented on your IG photo, this outfit reminds me very much of a lady’s elegant riding habit for some reason. What an eloquent reflection of life changes. I wish I were as able to embrace the changes as easily as you are. You seem to flow with the river of life whereas I want to swim as hard as possible against it. I love all of your musings and posts . Of course the ensembles you put together with your glorious “crowns” are just wonderful and so perfect for you . The photos and posts are so well spoken and filled with meaning . Thank you for sharing your journey with us who follow you . All of the Advanced Style ladies, Idiocentric Fashinistas , you the Style Crone as well others of the age and styles have really inspired me . Always have wanted to dress my own way and the older I get , even more so . I’m having more fun with clothes than I’ve had in years . I have run out of room . I keep things I like forever. I have my mother’s wonderful 1950’s faux leopard coat . I also have two wool full length coats from my grandmother . One is just all black and the other is a wonderful black and white small houndstooth check with a black velvet inset in the collar . I have all my mothers fashion jewelry and some of my grandmother’s as well . I am fully enjoying turning 71 shortly . If only my hair would turn white . I’m over 50% gray but mostly in the crown of my head . I’ve had it highlighted for decades but this year I went light blonde all over . I still want it more white or silver . Look forward to your future postings . truth of your vulnerable reflections. Intimately. You inspire me always! You look wonderful with silver hair. I love the silhouette of this outfit, it speaks of the romance eras gone by. What a beautiful park, no wonder it’s been a haven for you for so long. Your silver hair looks gorgeous! It’s so shiny and white! I started getting white hairs at age 18 and have never colored my hair. Now at age 65 I’ve had solid white hair for many years. While I’ve never turned to hair color, I have kept up the longer length I prefer. My hair is straight, blunt cut straight across the bottom and hangs down to my armpits. Typically worn in a low ponytail or a single braid. I’ve always enjoyed my silver hair. It looks like you’re enjoying your silver hair too! You are a poet. As well the outfit as the jewellery is very befitting the fall. Love your hat. What a terrific design with the flower band at the back. And your hairstyle (apart from the colour) is always so good for hats.